Commercial pest control plays an important part in protecting society from pathogens and disease. Food production and handling facilities from factories to restaurants, cafes and retail outlets are susceptible to infestations of pests which are drawn to them because of the food source available and shelter. Food can become contaminated from droppings, urine, saliva, and transfer of materials from body to food contact. This occurs when pests feed directly on food or come in contact with equipment and surfaces involved in the production and handling of our foods. The introduction of pathogens to our food sources occurs as a consequence and can then lead to disease and sickness in the population when the food is consumed. Cockroach, rodents and flies are a large concern in food production and handling with any number of other pests such as drain and moth fly, birds, crickets, spiders and ants being problematic. Integrated pest management programs which combine environmental correction control measures with non-chemical and chemical measures are a must to achieve effective solutions. Industrial pest control is often similar to household pest control except the scale can be much larger. All the usual pests such as cockroaches, ants, spiders, rodents and many more, all too readily inhabit industrial sites. For the health and safety of both staff and clients pest control measures need to be put in place. 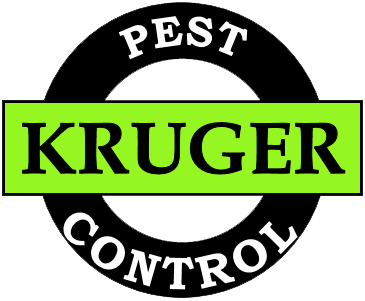 Kruger pest control understands the needs of each client can be very different and can tailor services to meet all circumstances. For Commercial pest control, contact us today!